Rackham Storage Tray | Great Little Trading Co. 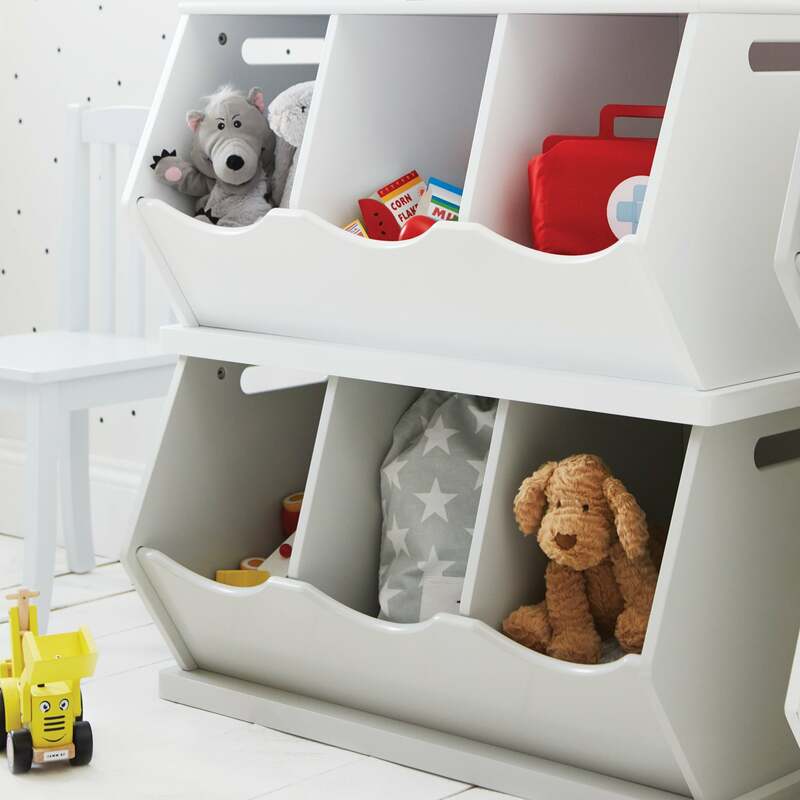 This modular storage is brilliant for small spaces; team it up with up to three matching Rackham pieces to organise all their toys & books, large or small. It can also be used as arts and crafts storage. 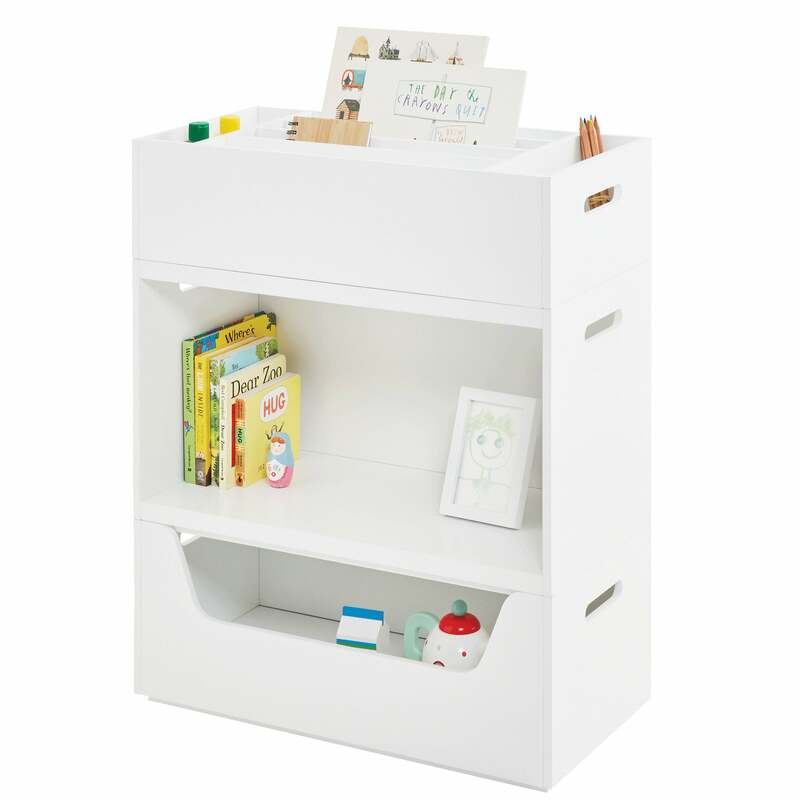 There are two other matching pieces available - the Rackham Book Shelf and the Rackham Toy Box; the Storage Tray always has to be placed on top. 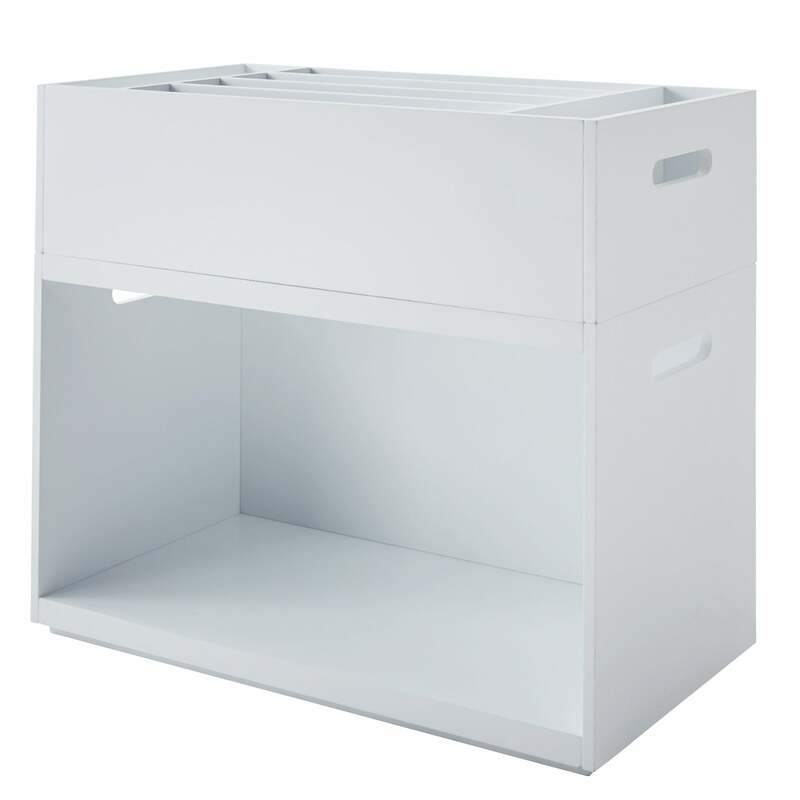 In the interests of safety, please stack up to four units only and always use with the safety wall straps provided. Finished in Bright White.